We’re proud to announce the launch of The Red, a campaign developed in partnership with American Student Assistance (ASA). The cornerstone of The Red is a short psychological thriller directed by the Sundance-award-winning trio of Borderline Films – the team behind critically-acclaimed movies Martha Marcy May Marlene and Simon Killer. See more at Face the Red. The Red tackles the crushing anxiety that often accompanies student debt, and shows viewers the path to relief via SALT, a free online debt-management resource created by ASA. The campaign was created help young people confront their student debt and inspire them to take meaningful action. Both the film and related partnerships with The Onion, Buzzfeed, College Humor, MTVu and Rotten Tomatoes talk to the audience on their terms and use entertaining content as a way into a conversation around a challenging topic. Adweek called the film “a cross between The Blair Witch Project and Black Swan, with a dash of Lost.” Here’s more on the campaign in the New York Times Bucks blog. 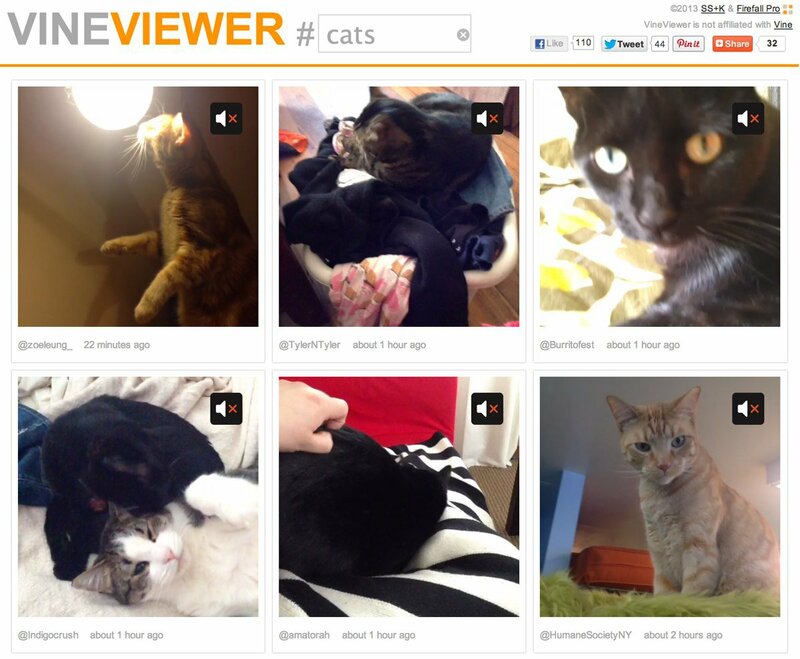 VineViewer is a fun utility developed (rapidly) by SS+K and Firefall Pro designed to allow people to search the growing library of vines based on their tags. We were really excited by the launch of Vine. Like everyone else in our business, we immediately began thinking of different ways we might bring vines in on our client work. In doing so, we lamented that there was no simple way to search for vines of a specific topic, like love for Valentine’s Day. Now you can. VineViewer has been featured in Fast Company, Creativity Magazine and on AgencySpy, Business Insider and in Creativity’s AdCritic Top 20. We pride ourselves on producing campaigns that get people talking, thinking, acting. And the Obama/Biden 2012 presidential campaign got people talking, thinking, and acting like no other effort in modern American politics. Thousands of campaign staff, hundreds of organizations, and many other agencies worked on advertising and media. We’re incredibly proud to be counted as a small part of the team. 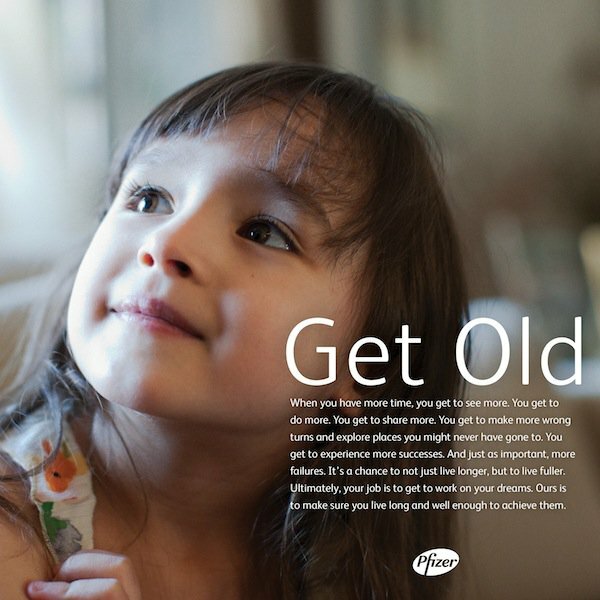 As the campaign’s youth agency, we developed two campaigns to reach young Americans. The first campaign – “First Time” – aimed to convince college students their first time voting was an important, life-changing decision. Moreover, we emphasized their ‘first time’ should be in support of the President. We even got Lena Dunham in on the action. Through a video that’s been viewed more than 2.5 million times, Lena sparked a national conversation about the issues that matter most to young people. 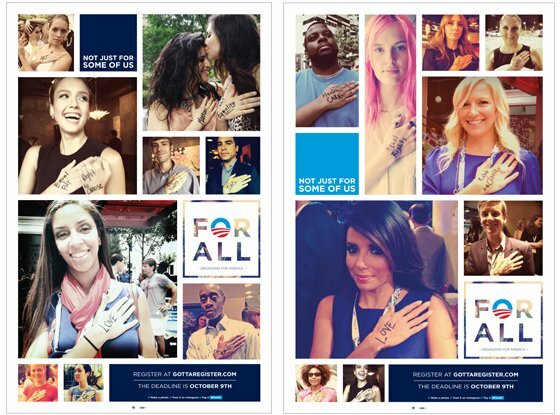 The second campaign – “For All” – used the Pledge of Allegiance as its foundation. The campaign underscored both the president’s vision that we’re greater together and the values that connect young people to him. It provided young Americans the opportunity to share their own visions for the future. The idea was simple: write an issue on your hand, take a photo, post it on Instagram and spread the word. You might recognize some of people in the shots below. We think it was the first Instagram-based political advertising campaign and it reached deep into our target. More than 76,000 Twitter users tweeted with the #ForAll hashtag, potentially reaching more than 150 million people between September and election day. The result? The numbers tell the story. 18% of young Americans turned out in 2008, with 66% voting in support of the President. This time around – even amid concerns about the economy and disenchantment with the political process – they turned out again and in record numbers. Young people made up 19% of the electorate in 2012, an all-time high, and 60% of them voted for President Obama. Analysts have said the youth vote made the difference in VA, OH, FL and PA, key battleground states that put the President over the top. Moreover, the ad was named Time’s #3 ad of the year.